GUSTAV Fristensky began collecting the family's history following his tour of America in 1913/14. When he was born in 1879, one of his cousins (John) had already left for America. By the time Gustav was five years old, his brothers (Joseph, Frank, Charles) followed Johns' suit. When Gustav and his brother Frantisek were in New York City, they were at first not aware that they already had a large family in the United States. Through an announcement in a New York City newspaper, the cousins connected with their European cousins. In 1965 my grandfather Frantisek produced an extensive historical family album that he commemorated to his eight grandsons to keep the Fristensky legacy alive. I feel very honored to be able to produce and to dedicate this web site firstly to my granduncle Gustav and my grandfather Frantisek. Secondly, I would like to dedicate this site to Paul Fristensky, Clarkston, WA who was the first from the American Fristenskys inquiring information on the Czech Fristenskys. He is the driving force in gathering information on our American ancestors and sorting them in the Fristensky family tree. This is greatly helpful in following the path of the Fristenskys who moved to the United Stated and of those who stayed behind on the old continent. 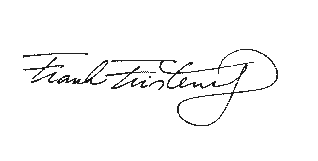 Thirdly, I would like to dedicate this site to all Fristenskys, in Europe and in America young and old, men and women, and their direct relatives who in some manner have already contributed (or will in the future) in keeping the Fristensky tradition alive for future generations. Lastly, this site is dedicated to friends, sport fans, admirers, and historians who admired Gustav and his brothers' career and who touched their lives in one way or another. Please help to preserve their legacy!